Body Benefits Massagers By Body Images! With warm weather comes sun dresses, shorts, tank tops and generally less clothing , but after the winter weather your skin may need a little extra care. 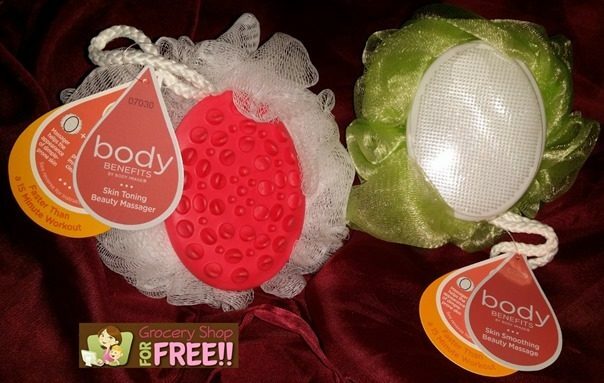 Body Benefits by Body Images sent me 2 massagers with unique takes on a bath-time favorite to get you fresh and clean in the shower while smoothing and toning skin. I like the feel they both have and that there are different types so you can choose the one that feels and works best for you. Both massagers are available at retailers nationwide for $3.99. For more information please visit bodybenefitsbath.com.